The Nike Air Max 720 is set to release in a handful of new color options beginning in February. Expanding on its Air Max 720 lineup, Nike will also be debuting a high top version of the runner. This high top has a racing theme, with the word “racing” actually being branded on the heels. It comes crafted in a Black leather upper with Yellow accents throughout. 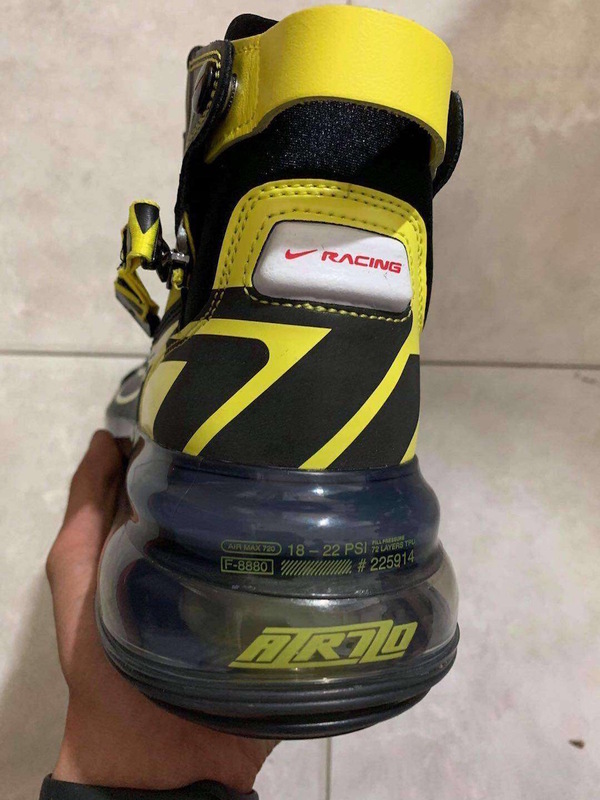 Additional details includes a zipper that extends across the side panel, while having “AIR 720” branding repeated on its racing stripe and Air Max heel unit. No word yet on release details, but you can expect this Nike Air Max 720 High to make its debut later this year. Stay tuned to Sneaker Bar for more updates.